Make sure to remember the 6 categories of “soft skills” employers are looking for. The phrase “soft skills” is thrown around but do you really understand what it means or why you should care? 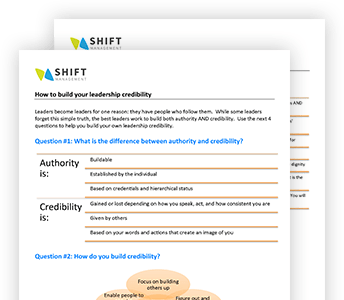 Get some clarity and a great FREE DOWNLOAD to help you showcase your strengths for Canadian employers. These are fundamental skills all employers are looking for, so essential that it’s likely you won’t be hired unless you can evidence them. Employability skills include things like basic communication, teamwork, and personability. What skills do I have that could apply to many different jobs? When I have learned something, can I transfer my learning to others? Specialty skills don’t only encompass where your credentials lay: they include specific areas of expertise you have developed skill within, such as being able to assess inter-department budget needs or your ability to facilitate conflict resolution. Complete skill assessments and ask others to help you identify your specialized skills. Evidencing your own self-control and discipline present you as a person who is reliable and trustworthy. A reputation built on this kind of integrity is immensely valuable to both yourself and the employers who invest in you. While listening and being able to clearly explain your ideas seem basic, they take practice to do well and 100% of people can improve in this area. Both listening and enunciating your thoughts in a way others can understand are key to helping ideas move forward in the organization and enabling others to find common ground. Positioning yourself to reach your career goals takes both strategy and effort. As you work toward your objectives, pay attention to the political environment of your workplace and create a professional network who will support your progress. Looking for a better way to reach your career goals? Try an online course. Give us 15 minutes a day and we’ll give you the tools you need to find work, keep it, and get promoted. Check out Canadian Workplace here.